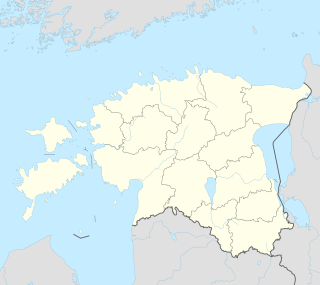 Petseri County (Estonian: Petserimaa) was a county of Estonia established in 1918. Since 1944, however, most of the county has been administered as Pechorsky District of Pskov Oblast, first by the Russian SFSR and then, from 1991, by Russia. Estonia retains territories that today constitute Mikitamäe Parish, Värska Parish (both in modern Põlva County), Meremäe Parish and the south-eastern corner of Misso Parish (in modern Võru County). The territorial composition of the whole historic province of Petseri County (Petserimaa) is regarded as the homeland of the Setos, a Finnic people related to Estonians. The Russian inhabitants of Petseri district were mainly Old Believers who spoke a transitional dialect between Russian and the Belarusian language. In the mid-15th century one of the most important Russian Orthodox monasteries, the Pskovo-Pechersky Monastery, was founded in the area. During the last year of World War I, from February to December 1918, the county's capital, Pechory, was occupied by German forces. As such, the county including the town and the territory surrounding it was devised to be part of the Baltic Duchy. The town was then captured by Estonian forces on March 29, 1919, during the Estonian War of Independence. The Treaty of Tartu of 1920 subsequently assigned Pechory and its surrounding territory, the Setomaa region, to Estonia. Pechory was renamed Petseri and the area became Petseri County. Saint Peter's Lutheran Church was built in 1926 at Petseri. During World War II, Petseri County was occupied by the German army between August 1941 and August 11, 1944, and then by Soviet forces during their advance toward Nazi Germany. Soviet authorities transferred most of Petseri county from the Estonian SSR to the Russian SFSR in 1944. 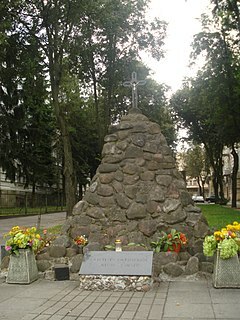 After the collapse of the Soviet Union in 1991, Estonia raised the question of a return to the borders under the Treaty of Tartu: Estonia dropped this claim in November 1995, however. Estonia and Russia signed the Estonian-Russian Border Treaty on May 18, 2005: the preamble noted that the international border had partly changed, in accordance with Article 122 of the Estonian Constitution. ^ See Territorial changes in the Baltic states during and after World War II. Võru County, or Võrumaa; officially, is a county in Southern Estonia. It is bordered by Valga County and Põlva County and is the only Estonian county bordering two countries - Latvia in the south and Russian Federation in the east. Setos are an indigenous ethnic and linguistic minority in south-eastern Estonia and north-western Russia. Setos are mostly Seto-speaking Orthodox Christians of Estonian nationality. The Seto language belongs to the Finnic group of the Uralic languages. The Setos seek greater recognition, rather than having their language considered a dialect of Estonian. Along with Orthodox Christianity, vernacular traditional folk religion is widely practiced and supported by Setos. Pechory is a town and the administrative center of Pechorsky District in Pskov Oblast, Russia. Its population in the 2010 Census was 11,195, having fallen from 13,056 recorded in the 2002 Census and 11,935 in the 1989 Census. This population includes a few hundred ethnic Estonians. Setomaa is a region south of Lake Peipus and inhabited by the Seto people. The Seto dialect is a variety of South Estonian. The historic range of Setomaa is located on territories of present-day Estonia and Russia. Estonian Setomaa presently consists of lands in Põlva County and Võru County, counties located in southeastern Estonia and bordering Russia. Petseri has been the historic and cultural centre for the Setos. Pskov-Pechory Monastery or The Pskovo-Pechersky Dormition Monastery or Pskovo-Pechersky Monastery is a Russian Orthodox male monastery, located in Pechory, Pskov Oblast in Russia, just a few kilometers from the Estonian border. Pskov-Caves Monastery is one of the few Russian monasteries that have never been closed at any point in their existence, including during World War II and the Soviet regime. The monastery has been an important spiritual centre for the Seto people. Koidula is a village in Setomaa Parish, Võru County, in southeastern Estonia, on the border with Russia. It's located few kilometers northwest of Russian town Pechory. Koidula is the border crossing point of Karisilla–Pechory road, Tartu–Pechory and Valga–Pechory railways. Currently only Tartu–Pechory line is open to freight traffic, Valga–Pechory is inactive. In 2011, a new railway station was built in the neighbouring Matsuri village. This enabled traffic between Tartu–Pechory and Valga–Pechory lines without crossing the Russian border. It is also theoretically possible to be used for traffic between Saint Petersburg and Riga. Kolodavitsa is a village in Setomaa Parish, Võru County, in southeastern Estonia, on the border with Russia. Tartu–Pechory and Valga–Pechory railways pass Kolodavitsa and cross the border in nearby Koidula village. Currently there's only freight traffic on Tartu–Pechory. Kolodavitsa has a station named "Veski" on the Valga–Pechory line, but it's inactive since 2001. At the moment new Koidula railway station is being built in the neighbouring Matsuri village, this enables the traffic between Tartu–Pechory and Valga–Pechory lines without crossing the Russian border. Matsuri is a village in Setomaa Parish, Võru County, in southeastern Estonia, on the border with Russia. The Tartu–Pechory, Valga–Pechory railways and Karisilla–Pechory road all pass Matsuri and cross the border in neighbouring Koidula. In 2011, a new Koidula railway station was built on the territory of Matsuri to enable traffic between Tartu–Pechory and Valga–Pechory railways while avoiding crossing the Russian border. The Saatse Boot is an area of Russian territory of 115 hectares that extends through the road number 178 between the Estonian villages of Lutepää and Sesniki in Värska Parish. The piece of land resembles a boot, which is why it is given such a name. Kolpina is the largest island in Lake Pskov. It is part of Pechorsky District, Pskov Oblast, Russia. 1920–1944 it belonged to Estonia and was part of Kulje Parish, Petseri County. After the annexation of Estonia by the Soviet Union in 1940, it went to the Russian SFSR in 1944 and then to Russia. Vassili Grigorjev was a Russian-Estonian farmer and politician.